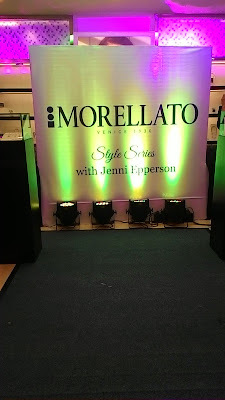 I was invited to attend an event which featured Morellato, a brand well known for its Jewelries. It was a very educational event for someone like me who doesn't pay too much attention on adding accessories for my daily outfits. A talk was hosted by a very popular blogger and styling persona, Ms. Jenni Epperson who gave us tips on how to add a few pieces to simple day-to-day get ups and how to mix and match certain Jewelry tones to match a certain special outfit. 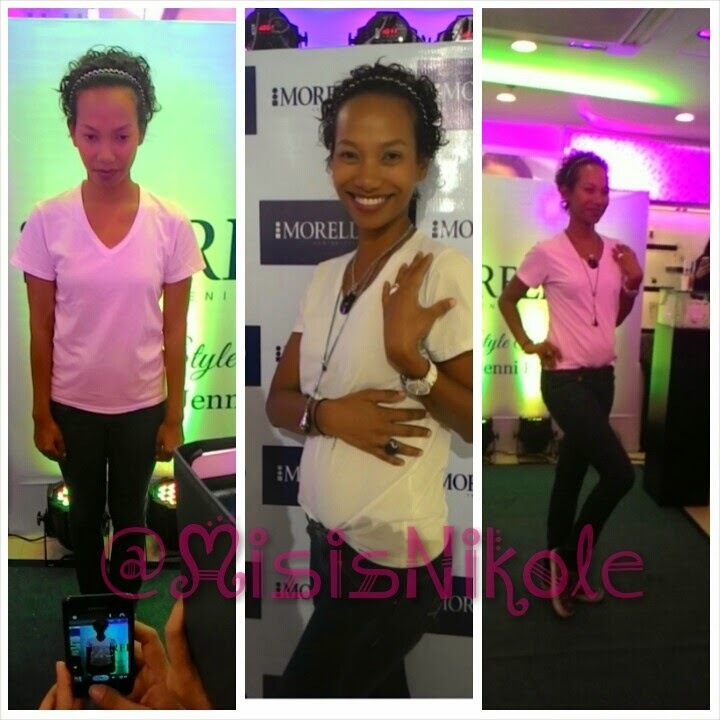 It was a fun afternoon, that we had a game to glam up a model, we were divided into 2 teams and luckily we got Ms. Wilma Doesnt, a professional model, a mom and a very down to earth and witty person. It took us so much time to create the look we wanted since we are so many in the team and it was really hard to choose which one's to use since Morellato have a lot of very beautiful fine pieces of Jewelry. Sadly we didn't won the contest, but personally it helped me to possibly style myself and is now a bit interested in collecting my own pieces. Morellato also have beautiful time pieces, from Silver, Gold, Rose Gold and some cute candy colored plastic watches that is perfect for a casual day get up. Another line that they carry is the Morellato Drops, the kind of bracelet wherein you can add priceless crystals with sophisticated designs you can choose from. 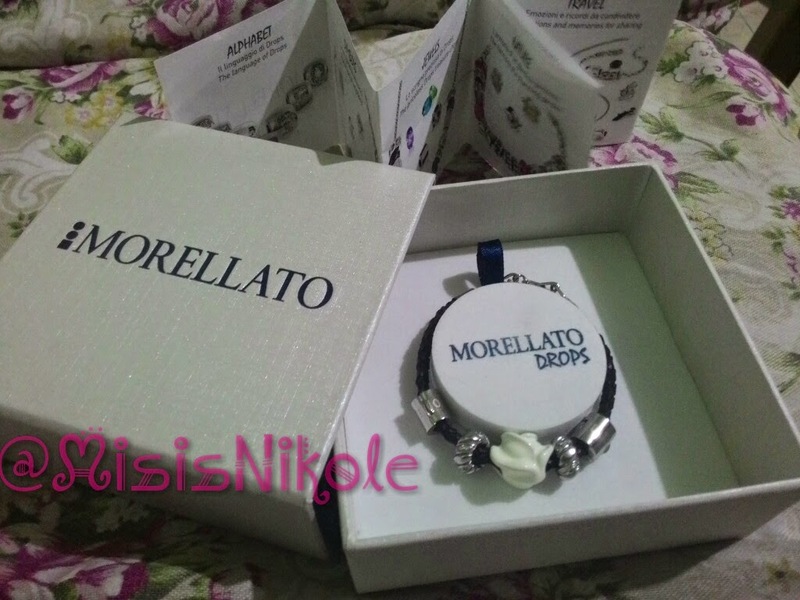 As a token and to cap off the afternoon, they gave each one of us a cute box from Morellato which randomly contains bracelets or necklaces from their Morellato Drops collection. Super cute, now all we have to do is collect different crystals to create our personalized Jewelry. Thanks Morellato! Para sa Hopeless Romantic the book has a very special place in my heart, I actually have the very first copy and cover produced, it was a bit thick since it had illustrations and the price was a bit higher. I bought it directly from the author, Marcelo Santos III, I met him when he was still actively joining blog events, tall guy, very young and shy. 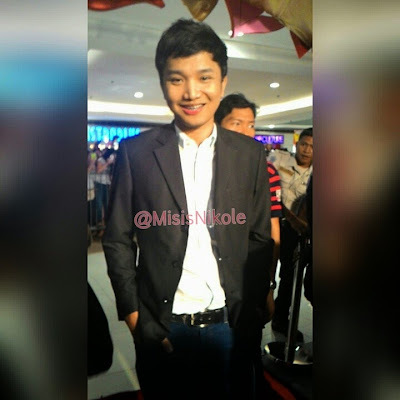 It was my first time to have met an author and a very young one, he called me "Ate" but we weren't that close yet. Not until we ended up being officemates, and talked about ourselves, dreams, plans and future, I literally became his Ate and I called him "beh". When he told me about the plans for his book to become a Movie, I was genuinely happy for him and looked forward to it, I know the story of his book and seeing it on the big screen would be a bonus. Moving on to the movie, I can say that they were loyal to the book, it is really like watching your favorite fairytale come to life. A big factor would be the celebrities who portrayed the roles, they are not just your regular teen stars, they have huge followings. Inigo Pascual although a newcomer knows how to charm the ladies in the audience, maybe because he saw how his father Piolo Pascual did it on screen, I say it's a good start for him. Julia Barretto is undeniably beautiful, with the roots she came from, nobody can't deny her exuding that Barretto skin, charm and sophistication. In the movie, Julia I think is too beautiful for the role of a simple girl, maybe she can do more workshops in ironing out her Pinoy accent para mas masa, but nonetheless she portrayed it well. 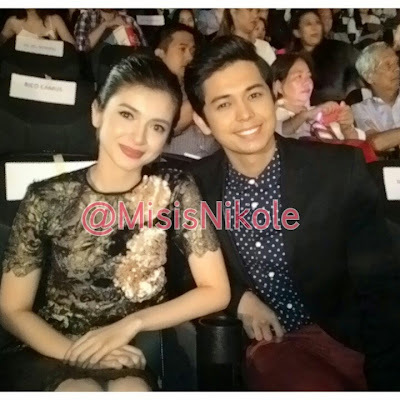 I was not able to feel much of AJ Muhlach's presence in the movie, not sure if it was about the editing, that he didn't have much exposure on the film, on the other hand, his partner Shy Carlos was a revelation, I now tag her as the next pang bansang bestfriend, she was a refreshing sight. 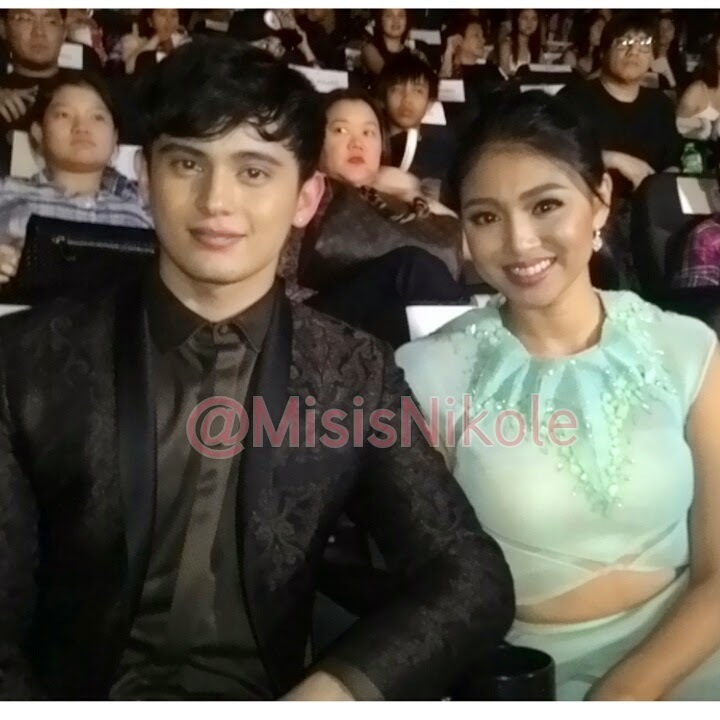 Now we go to the official love team James Reid and Nadine Lustre known as #JaDine. I think they did a great job, A for effort for James giving a lot to be able to speak straigh tagalog in most of the scenes, even though they had to make him kayumanggi for the movie, he is still super handsome and hot! 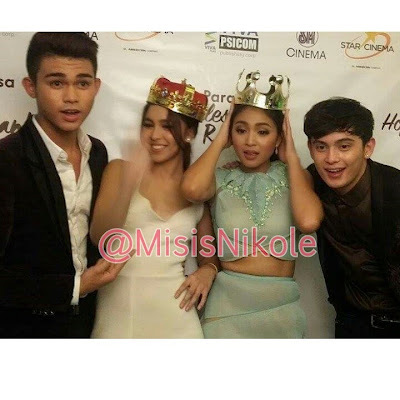 Nadine on the other hand proved that simplicity is beauty, she had very light make-up but still her beauty reigns. Acting wise, they could still improve, especially on scenes na pa-kilig, the right timing and maybe more emotions from the eyes para more effective. I realized in this movie the downside of being loyal to the book, there were scenes that made me felt bored, long talking scenes and some just plainly bland backgrounds, the movie was okay for me, but I would still personally choose the book and would prefer my own imagination to create my own movie in my head. Yay! Purchased my first Happy Skin product, I've been curious about this Brand since last year but was still a bit hesitant to try one because I was still sticking with the brand that I am currently using. 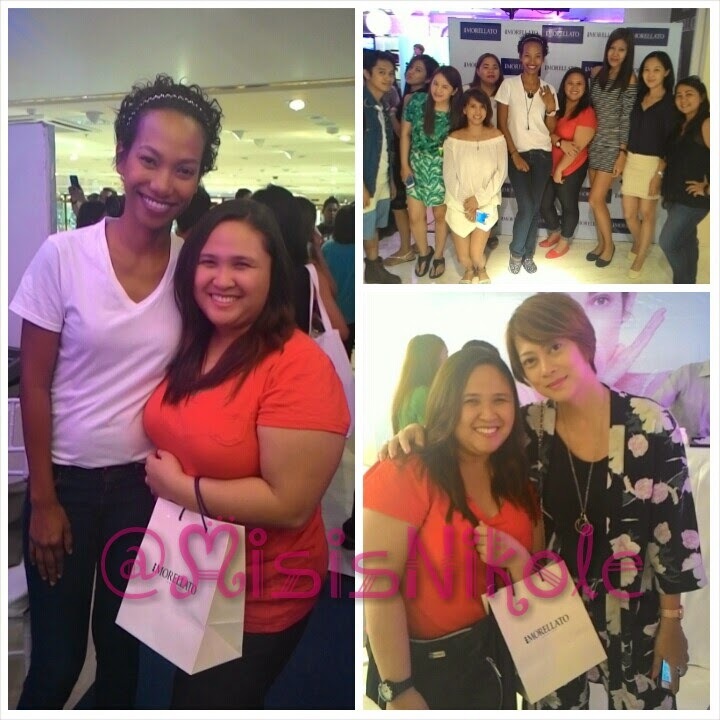 You see, I am not really so much of a make-up person but to have face powder, blush-ons and lipstick, I am good to go! Last night the Mister and I came from SM Megamall and passed by EDSA Shangri-La Mall our usual route, but for whatever reason I asked him if we could pass by Rustan's, he agreed so we took a stroll and voila, I saw the Happy Skin section, I was immediately assisted by the staff, I forgot to ask for her name, I like her she spoke to me in a very natural chikahan mode and asked me what I wanted, I said I wanted a lispstick but was not familoar with their shades, she then asked me if what look do I want? I said I wanted something that looks naturan since most of my previous ones were a bit shouting or if not they were not as close as the natural looking that I wanted. So, she gave me two testers for a natural shade and instantly I fell for the 2nd one which is Hold My Hand which is a limited edition. It looks so natural that even the Mister reacted "parang wala naman" with that reaction, I immediately said I will get this one. 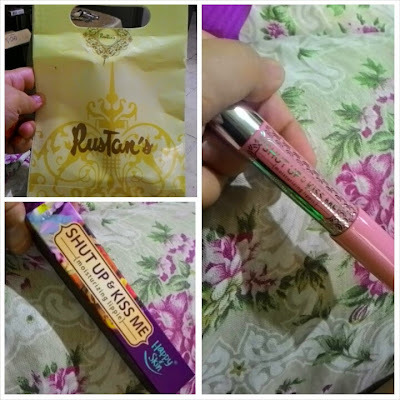 I am happy with my purchase, for PHp 599 it is already a great purchase, plus what I really love about Happy Skin's Shut Up and Kiss Me is its packaging, it is like holding a pen in your hand and you glide it through your lips, so easy!!! This might be my next favorite brand, I might go back, maybe next month to check out other shades. I am indeed happy with my Happy Skin purchase. Summer has officially begun and there are so many new things to do, places to see, and memories to create. Nothing makes experiences more enjoyable than being in the company of great friends and even greater music. Home entertainment trailblazer LG Electronics dishes out exciting ways to amp up your summer trips with the new LG Music Flow P7. This compact but powerful portable speaker boasts unique features for the ultimate hassle-free barkada bonding. 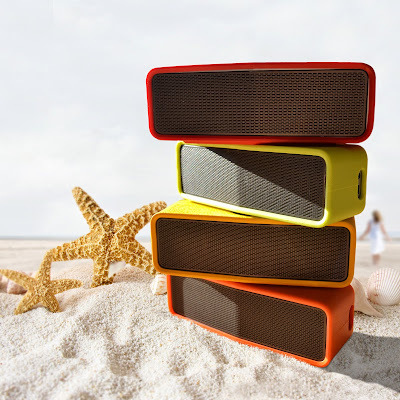 Its impressive long-lasting battery enables the gang to enjoy continuous music for up to 10 hours. Whether you are out in the sea or up in the mountains, the LG Music Flow P7 delivers nonstop listening pleasure. The super sleek LG Music Flow P7 is extremely lightweight and comfortably fits in any carry-on luggage; making it the perfect companion for beach trips and out-of-town vacations. Even with its compact design, the LG Music Flow P7 is capable of playing music in full, crystal clear quality with its outstanding 20W audio output, currently the best in the market. Fire up the grill, host your own outdoor summer soiree and after sunset, watch a movie under the stars with just a blanket and a projector—with the sounds amplified by your own Music Flow, of course! Partying with your best buds made even more fun with LG Music Flow P7’s Bluetooth and Wi-Fi capabilities. Shuffle and stream music right from your mobile phone! 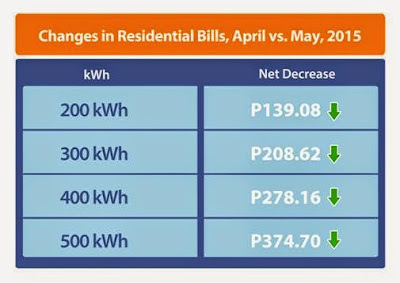 The barkada can also get in on the fun with its unique feature that allows up to three Bluetooth-capable phones to connect at the same time. You and your friends can connect two LG Music Flow P7s to one Bluetooth-ready device at the same time for a fun and louder summer trip. Fill every corner with quality tunes wherever you go! Staycations will never be the same again! Cozy up with your favourite blanket and catch up on your series at home by connecting up to two LG Music Flow P7s to a compatible LG TV and enjoy the full LG experience with immersive surround sound. Keep fit with the beat! Getting that beach body ready doesn’t have to be a struggle. Stretch, jump, and crunch (not munch) to the beat that’s blasting from your Music Flow P7s. Or you could hold your favourite yoga poses with soothing ambient sounds thanks to your Music Flow. “Whether you are planning for a weekend trip or simply staying in with the family, the LG Music Flow P7, the smallest and newest addition to the LG Music Flow WiFi Series, is the ideal companion for that unforgettable listening experience,” said Hoony Bae, vice president of LG Philippines Home Entertainment. The LG Music Flow is the perfect companion to make summer getaways more awesome than usual. Keep fun on replay with the LG Music Flow’s long battery life. Enjoy up to 10 straight hours, crystal clear 20W, non-stop music sharing with your whole barkada. Make the most of your summer by getting your own LG Music Flow P7 for only PHP 6,890 at participating LG dealer stores nationwide: Robinson’s Lipa, Robinson’s Novaliches, Robinson’s Pampanga, Robinson’s Bacolod, Robinson’s Dasmarinas, Robinson’s Pioneer, Robinson’s MetroEast, Robinson’s Ilocos, Robinson’s Ermita, and Robinson’s Galleria. To learn more about LG’s Music Flow Wi-Fi Series, visit "http://www.lg.com/ph" www.lg.com/ph; like LG Philippines’ Facebook page; or follow @LGPhilippines on Twitter and Instagram. The LG Electronics Home Entertainment Company is a global top player in televisions, monitors, commercial displays, audio video systems, personal computers and security systems. The company constantly pushes technological boundaries to create feature-rich devices with stylish designs that meet global consumer needs. LG's consumer products include CINEMA 3D Smart TVs, OLED TVs, IPS monitors, home theater systems, Blu-ray Disc™ players, car audio/video systems, mouse scanners and external storage devices. LG’s commercial products include digital signage, video conferencing systems and IP security cameras. 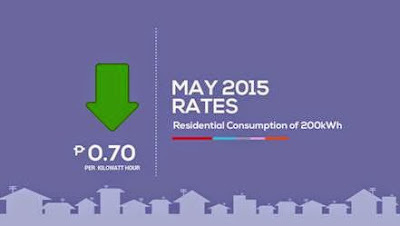 For more information, please visit "http://www.lg.com" www.lg.com. 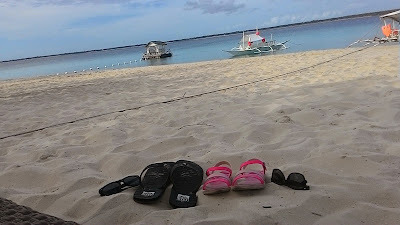 Our Cebu and Albay travels this year woul've not been comfortable without these super sturdy yet soft soles. The Mister had a hard time looking for a new pair that was fit for this leg of our exploration since we are again trying places for the first time, so it would mean, more walking and more talking on how to get here and there. Anyway, he decided on getting Reef which is around Php 1,000, this was his final choice after trying out several other brands, of course we would like a real value for our money and the comfortability, Reef did not disappoint, it was comfortable all throughout our walk-run Cebu adventure. For the Misis (that's me) I chose to get Zoxy by Grendha this is worth Php 1,500 yes I sometimes invest too much on slippers and shoes, for me if it is comfortable and fits me well I'd definitely go for it. I also had a difficult time looking for my own pair, my foot easily hurts nowadays, on long walks when I use my regular flip flops the thong design, so I was eyeing for something that of a slip-on design. Of course I had seen all those immitation kinds but it was really way too dfferent when in terms of walking them, I had been a victim many times of me wanting to have a bargain so I'd go for the "class A" ones as they describe it, but because I am chubby and my feet is wide, I decided to get the real ones, a bit expensive but will go a long way. And we are done with our summer edition of #MisterMisisTravels and we are happy and comfortable with our purchased footsies! 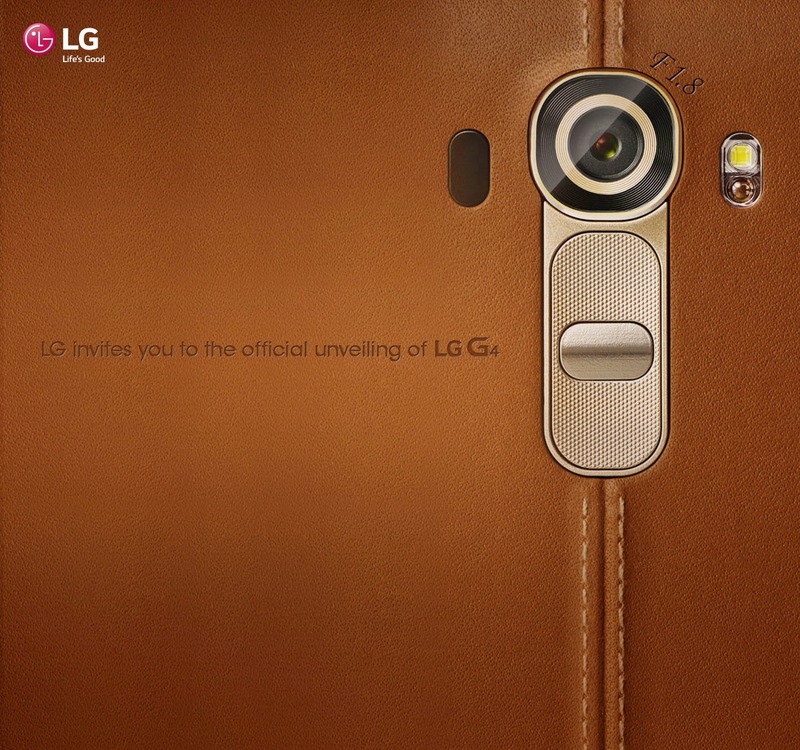 MANILA, April 29, 2015 – Today, LG Electronics globally unveils the most highly anticipated LG G4 smartphone in six cities including New York, London, Paris, Singapore, Istanbul and Seoul. Approximately 1,000 guests around the world gathered to witness the successor of the LG G3 which excelled in all sales charts and industry recognitions. Among the first users of the LG G4 will be 4,000 lucky customers who will receive the coveted smartphone as part of the company’s largest-ever consumer experience campaign. 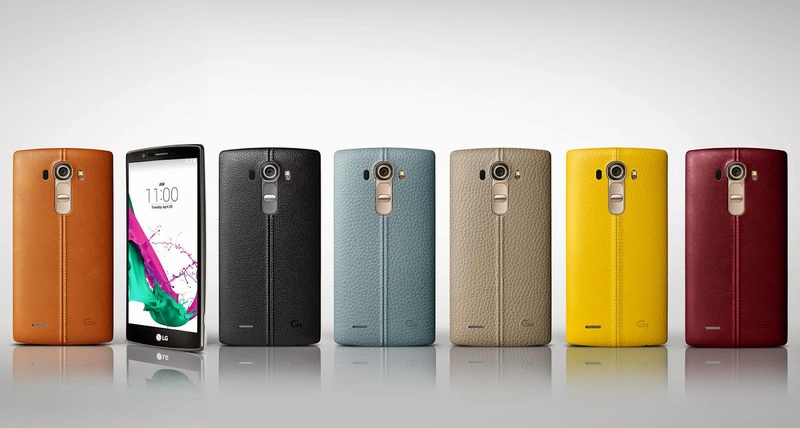 The LG G4 is available in handcrafted, full grain leather in six beautiful colors. The vegetable tanned leather is not only environmentally friendly but also luxurious, using genuine leather instead of the usual faux material that other smartphones use. Other material options for the G4 rear cover are pure Ceramic White with 3D patterns, artisan-forged Metallic Gray and lustrous Shiny Gold. The comfortable elegance of the LG G4 is a refreshing change from the uniformly flat, full metal designs that have been become standard across the industry. The LG G4’s design is defined by the Slim Arc, which runs along its entire body, highlighted by a display with a subtle curvature. More than just a design accent, Slim Arc offers more durability than a flat smartphone in face-down drops and gives the smartphone a more comfortable and secure feel in the hand. LG designed the 16-megapixel camera in the LG G4 to capture stunning images even under less than ideal lighting conditions. The camera module features an industry-first wide F1.8 aperture lens that allows 80 percent more light to reach the sensor. LG improved low-light performance even further with OIS 2.0, which doubles the performance of the OIS+ by expanding the range of image stabilization from one degree to two degrees on the X- and Y-axis and adding a third axis for the first time. Just like DSLRs, the LG G4’s Manual Mode allows experienced photographers to exercise more artistic expression by directly controlling the focus, shutter speed, ISO, exposure compensation and white balance for every shot. Advanced photographers can also save their photos in RAW format, in addition to JPEG, for more precise editing with no loss of details. The advanced camera in the LG G4 is complemented by Color Spectrum Sensor (CSS), the first feature of its kind to find its way into a smartphone. CSS improves color accuracy by precisely reading the RGB values of the ambient light in a scene, as well as the infrared light reflected from objects. And for selfies good enough to frame, LG included an industry-leading eight-megapixel front-facing camera for sharp, detailed portraits and group shots. Taking a quantum leap in display technology, the LG G4 is the first smartphone to use LG Display’s new 5.5-inch IPS Quantum Display, which offers 20 percent greater color reproduction, 25 percent improvement in brightness and 50 percent greater contrast. This new display is calibrated for DCI (Digital Cinema Initiatives) standards for color expression, championed by top Hollywood studios. With the LG G4, the higher quality display doesn’t come at the expense of battery life. 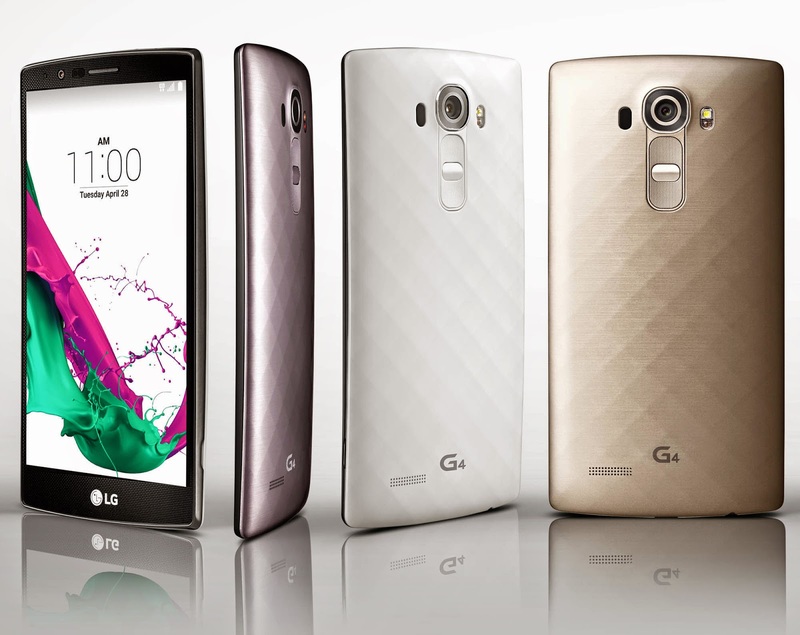 The G4 is equipped with a high-capacity 3,000mAh removable battery, a rare feature in today’s high-end smartphones. Combined with the benefits offered by the snappy yet energy-thrifty Qualcomm®Snapdragon™ 808 processor, the LG G4 has no trouble getting through a full day of normal use. To learn more about LG’s most ambitious smartphone yet, visit www.lg.com/ph or follow @LGPhilippines on Twitter and Instagram. And for a chance to become one of the first owners of an LG G4 in the Philippines, like LG Mobile Philippines on Facebook and join the LG G4 promo. 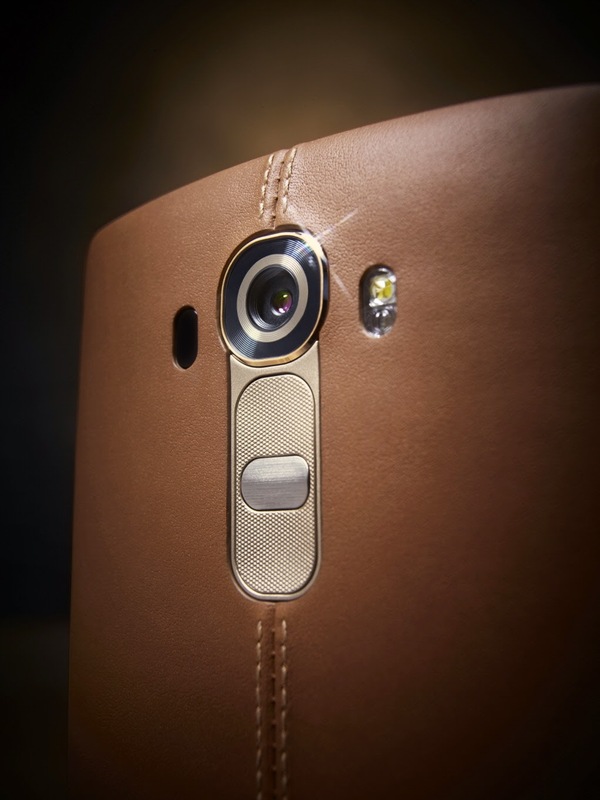 LG G4: The Most Ambitious Smartphone is Here!